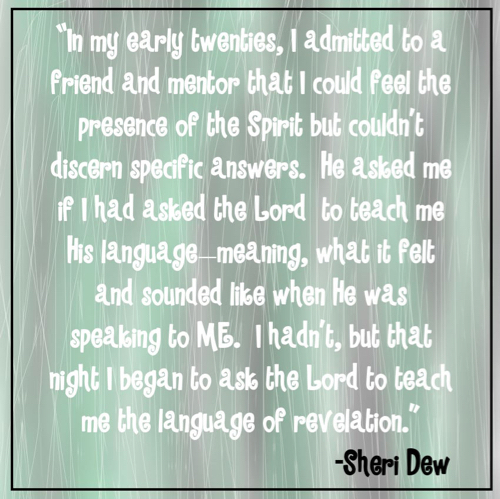 In Sheri Dew's recent book she talks about praying everyday for a spiritual experience. It sounded like a great idea and I wanted to hop on the bandwagon. Everything was going well and I was truly getting my daily dosages of Vitamin HG. Then Saturday came along and I was suddenly spiritually ultimate punched in the face! In a wonderful way! So many spiritual experiences poured into my life from one single event. The only way I can think to describe it is that heaven was nudging me over and over again with different spiritual reminders. We live in the northwest right in the heart of the gorge. 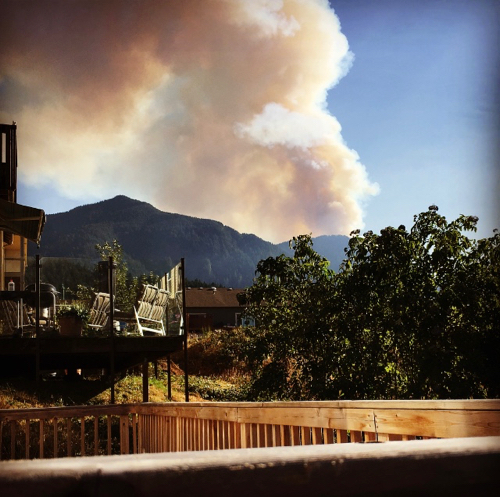 We returned home from an afternoon swimming to find smoke billowing up from our back hills. Based on news reports the story was that a group of teens were goofing off and throwing smoke bombs in the forest. People are good at things. We'll discuss this later*. The fire grew and grew AND GREW. Our neighborhood became a ghost town as everyone vacated their houses. We were the last sliver of the city that could remain with a level two evacuation warning (have everything packed and ready to leave at a moment's notice). It felt a little surreal trying to decide which items to take and which to leave behind. This became a beautiful reminder of what things are truly important in this life and what things are "things" that can be replaced. 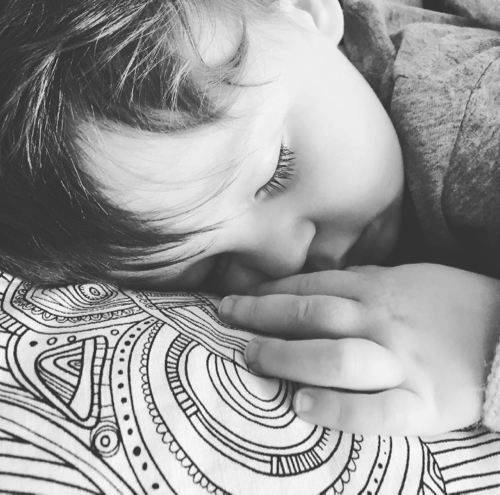 I looked over at this little guy napping beside me and felt so much gratitude for the blessings in my life: My eternal family, my friends, and my testimony of my Savior. Everything else I had been given in this life was just temporary. The prophet is great, the scriptures are magical, but I can't get over how awesome it is that we can personally communicate with our Heavenly Father for individual and family guidance. 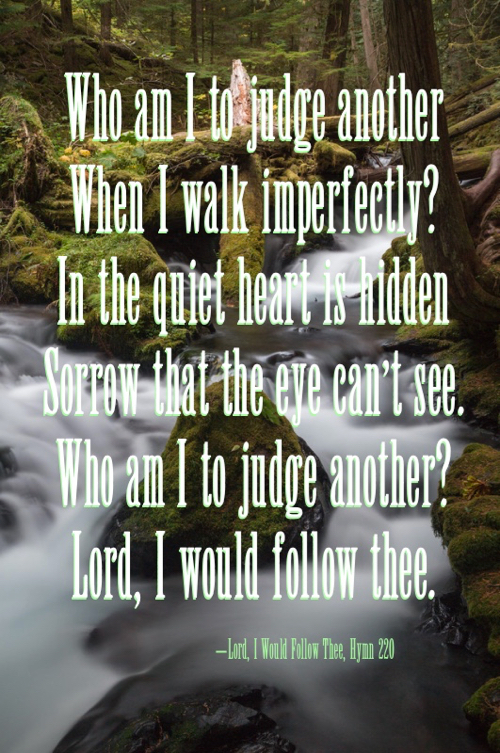 Another challenge I took on from Sheri Dew's book was to pray to recognize personal revelation. A few weeks ago a friend of mine was discussing this subject and she explained how you can always identify a spiritual prompting versus your imagination by whether or not you feel peace in your heart when it happens. I cannot count how many times this week I have felt the Holy Ghost's prompting while making decisions and recognized that familiar peace. This experience has helped me finally translate when that feeling in my heart is personal revelation coming from God. What wonderful, hardworking men and women left their homes and families on their holiday to come protect us. I was so grateful for the awesome firefighters and police that have been keeping us safe. The fire may spread fast, but the news spreads faster. This experience has shown me how many good, loving friends are surrounding us. I counted and within three days literally 14 different families we knew invited us to sleep in their homes if we didn't have a place to stay. I counted another number: SEVENTY-SIX people told us they were praying for us through social media, text messages, phone calls, and "two hands clasped together praying" emoticons. Our family could feel the love gushing into our lives from so many individuals who cared about us and about our home. I was overwhelmed. Sunday night: The glowing flames stenciled the dark mountainside and kissed the treetops. It felt as though God had delicately glided a burning paintbrush across the long horizon. 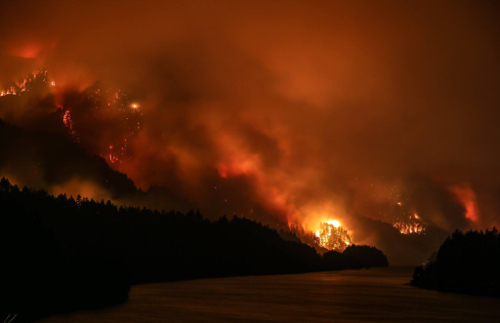 I watched the forest bleed ashes and smoke that climbed up into the never-ending sky. The majority of us mortals cringe in fear at the thought of being burned. The agonizing pain of fire to flesh sounds almost unbearable. But standing there, alone in the darkness, I could feel no negative energy flowing from the breathtaking scene. No, it seemed almost as though the earth was gently sighing. She was resting. She was replenishing. 11 For I will reveal myself from heaven with power and great glory, with all the hosts thereof, and dwell in righteousness with men on earth a thousand years, and the wicked shall not stand. I love reading scriptures about the second coming. There is such a thrill watching these humbling calamities and knowing it's one of God's ways of telling us the Lord will be here soon! I am so excited for Christ to come to earth. I cannot wait for the world to be cleansed and made pure. By Tuesday the whipping winds were making us nervous. 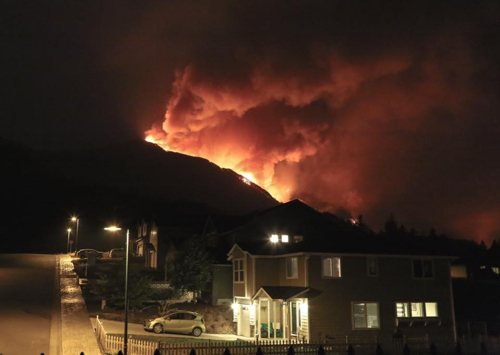 The fire had blossomed to about 30,000 acres. And our home sat a half a mile from the east edge of the flames. There was a knock on the front door where we found our bishop checking in on us before taking his family and saying goodbye. He spoke with hope that the town would be spared, but a small tremble of worry was hiding in his voice. "This is a beautiful house," he said and glanced around our living room with tears in his eyes before leaving. "I hope it's still here when all of this is over." It didn't take much time after that for my husband and I to make the decision to get in our two cars and leave. After buckling our son in his car seat, I hugged my husband standing in what might be our last time in our little front yard and started the car. Talk about a stand-still moment in time. This home was our special sanctuary. It was a sacred temple filled with love and beautiful memories. And our minds forced us to realize the small possibility that it might be taken away from us. For some reason, with all the spinning feelings spiraling inside of me, one prominent visual came to my head. I was picturing Lot's wife from the bible. That's right, the one that looked back and turned to a pillar of salt. Obviously, there's nothing wrong with taking one more long glance back at a place that's special to someone. I wasn't afraid of becoming a table companion with ground pepper, but something inside of me forced my eyes to look forward. As we silently drove away I again felt that familiar peace, focusing on the future and knowing that God was leading me exactly where I needed to be. The highway was closed off in both directions and only citizens escaping town were allowed to enter the ramp. There was such an eeriness being alone on the road passing through the cloudy, white smoke. The little voice from my son came timidly from the backseat requesting we listen to some music. "What song should we listen to, Trekker?" I was so happy that my life was built on a rock. This challenge wasn't shaking me. And I am grateful to have Christ as my foundation to help me through my trials. *NUDGE 5: FORGIVE, JESS. FORGIVE. 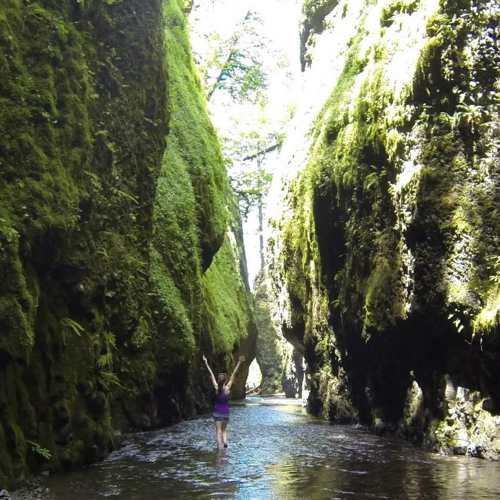 There is a sacred beauty in the gorge that can't be comprehended unless you've experienced it. These are not "just" a bunch of trees. It's its own entity. We are mourning the loss of a loved one in the hearts of all the locals. And emotions tend to boil over when we realize it came from carelessness and human error. But I have to remind myself that we're all human. We make mistakes. We do wrong things. Sometimes we don't even feel remorse for it. But it's just not our place to judge. My challenge to everyone is to forgive this teen who started the fire. I can't even imagine the guilt that may be weighing down on his heart watching the spiraling consequences of his actions. I'm still not sure what will end up happening to our house. I have no idea if and when we will come home to it. Whatever the future holds, I am so grateful for the spiritual nudges that came from this experience that I will never forget. Jess, "peace that surpasses all understanding!"